As I mention on my website, converting a word processing document to an ePub or Kindle formatted book is easy. Doing it so that it looks great can be really difficult and time consuming. 1) How much revenue do you expect to make? 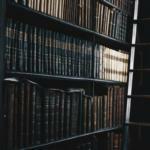 While the eBook market is growing, it is still a business and a fledgling market. 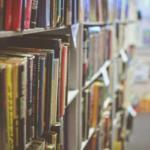 How likely is your target demographic to use eReaders? 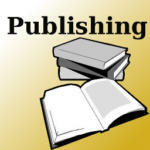 Many large-scale print authors are saying that electronic sales are 5% – 10% of their print sales. 2) How much revenue do you expect to make… indefinitely? 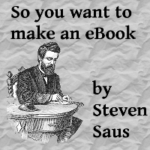 Unlike a print book, the costs you put into creating an eBook are relatively flat. You do not have to “print” more copies as demand grows, and you can always keep copies “in stock”. The cost can pay for itself over time, unlike a print book. 3) Don’t worry about formats changing. Over the decades, I’ve seen file formats come and go – and when you have a file that meets the official specifications, it is often easy to convert it. In fact, that’s what I do to create Kindle formatted documents. I create a standards-compliant ePub and convert it automatically, then make any small tweaks that might be necessary. 4) What percentage of the cut do you want to take? Keep in mind that automatic conversion services like Smashwords (or the uploader for Barnes & Noble or Amazon) clearly state that you cannot redistribute the converted work. The numbers for profitability become significantly different when you’re getting 100% of the gross receipts instead of 30% or even 70%. If you hire someone like myself to convert it (or do it yourself), then you have full rights to the converted text. 5) How much time and prior knowledge do you have? At its root, ePub is a zip file with some metadata and HTML. If that sentence made sense to you – and you have the time and patience to debug – then give it a whirl. If, on the other hand, you have no knowledge of HTML or CSS, then be aware that you’ve got a much steeper learning curve. Oh I didn't know you can't redistribute books converted by the tools you mentioned. Thanks Steve! It's always – always – important to read those agreements. Another bit in (most, commonly) is that you can't offer your book for less elsewhere. That is, you can't offer it for $10 at Amazon and $7 at B&N and $5 at your website. There are software tools that can convert to ePub or Kindle formats, mind you. Calibre can do it, for example. Again, though, I've had the best luck with Calibre when converting ePub to Kindle (or vice versa) when the documents are done to standard. Trying to take a DOC or DOCX or RTF and turning it into a quality ePub is a totally different story.